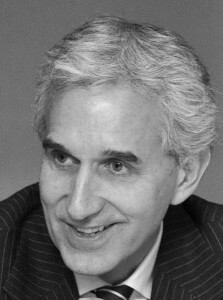 Prior to joining in 2011, Jeffrey Gedmin served from 2007 to 2011 as President and CEO of Radio Free Europe/Radio Liberty, where he oversaw the company’s strategy and broadcast operations in 22 countries. Before that he served for five years as Director of the Aspen InstituteBerlin. Before Aspen, he was Resident Scholar at the American Enterprise Institute (AEI) inWashington, D.C and Executive Director of the New Atlantic Initiative. Jeffrey Gedmin’s articles on foreign policy, media and public diplomacy have appeared in a range of newspapers and magazines. He has produced two major television documentaries for PBS. Jeffrey Gedmin has taught at Gonzaga College High School and Georgetown University, where he holds a Ph.D. in German. In 2010 he was awarded an honorary Doctorate by the Tbilisi State University, Georgia.